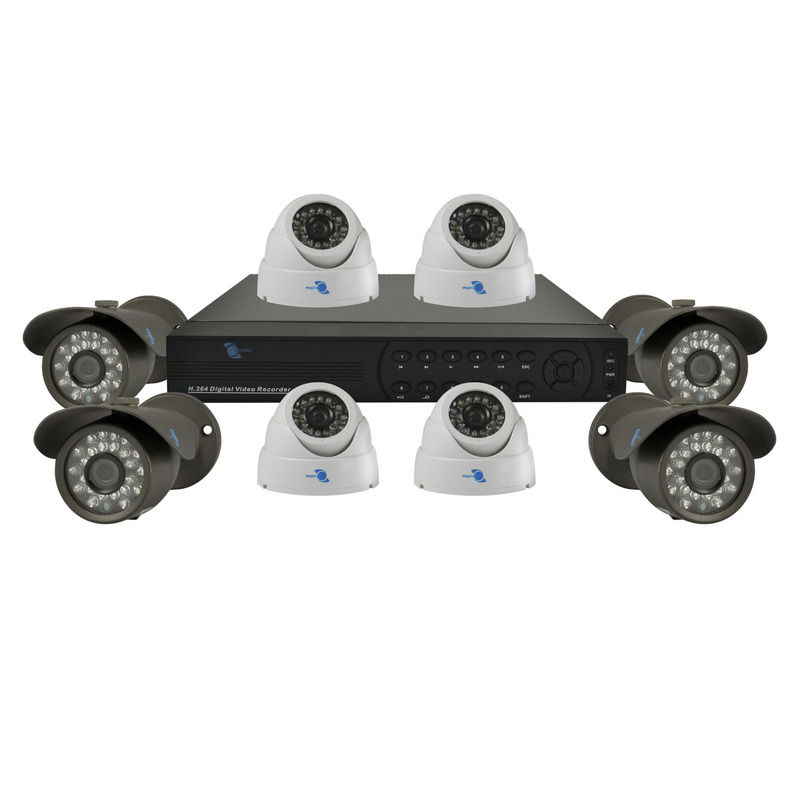 Kit of 8 cameras, 1/3.5" HDIS CMOS Sensor, 900TVL with DVR of 8-channel, H.264/G.711A Compression format, VGA/BNC/HDMI output, D1/CIF resolution. - Kit of 8 analog cameras, 900TVL. - 3.6mm Board lens. 24pcs LED. 65ft IR distance. - Recording and playback are available in mobile phone. - Plug and Play (PnP) function. - H.264 main profile compression algorithm ideal for standalone DVR. 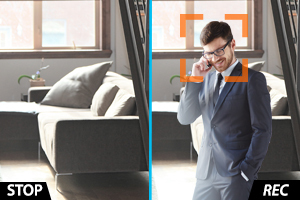 Kit of 8 cameras ideal for monitoring homes, offices or local chambers, is easy to install and can see the images captured by the cameras via internet. 4 cameras contain a sensor 1/3.5" HDIS Color CMOS that provides a resolution of 900TVL and one 3.6mm lens, his crown of 24 LEDs 5mm each allows a night vision of 65 feets, it has a IP66 weatherproof resistance, these cameras are designed to be installed outdoors. The other 4 cameras contain a sensor 1/3.5" HDIS Color CMOS that provides a resolution of 900TVL and one 3.6mm board lens, his crown of 24 LEDs 5mm each, allows a night vision of 65 feets, these cameras are designed to be installed indoors. 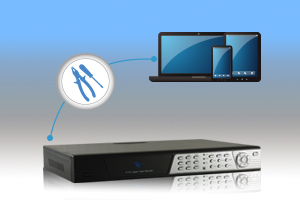 The DVR is designed for the connection of 8 incoming channel and 3 output channels (BNC, VGA and HDMI), recorded in H.264 format in real time, has a compact size to be placed anywhere, has two USB ports 2.0 and a network port RJ-45, encode 100/120fps at D1 format, playing from 1 to 4 channels simultaneously supports remote access. This DVR (Digital Video Recorder) is an easy to use device with simultaneous BNC, VGA and HDMI outputs. 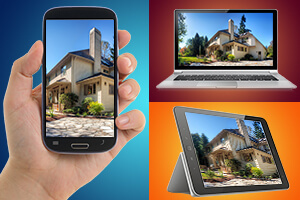 Monitor your cameras on the Internet everywhere through your PC, mobile cellphone (Android, iPhone) or tablet (Android, iPad) in real time. Multiple recording modes: Manual, alarm, motion detection and continuous. Compatible with: WIN98 / WIN2000 / WIN ME / WIN XP / VISTA WIN / WIN SEVEN. - Intelligence analysis system: Intelligent analyze function not only including the core function of touch line (unidirectional and reversible picket line) and perimeter (to invade or leave picket area) but also abnormal alarm linkage to make monitoring easier and easier. - HD DVR three in one: all functions of DVR / HVR / NVR combined, multi-mode input, 8ch 960H for encode and decode supported, analog network HD video hybrid input supported, full HD network video input support. - Step on the Internet: It can penetrate through all kinds of network via cloud service, to do remote control easily and conveniently avoiding complicated setting. - Ideal compression algorithm: Compression algorithm upgraded to H.264 main profile, the advanced space-time filter technique makes the code stream lowered at least 30%. - Playback quality: real-time recording synchronously (8ch 960H real-time encode), real-time multi-channel playback synchronously (8ch 960H real-time decode). - Main and sub stream: Main stream and extra steam encode synchronously supported. Main stream is for local storage to maintain the image quality, extra stream is for network real-time transmission, to easily solve the bottleneck problem of bandwidth. 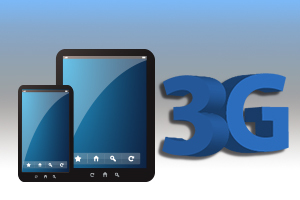 - Mobile monitor: all kinds of mobile monitor (iPhone, Windows Mobile, BlackBerry, Symbian and Android) supported. 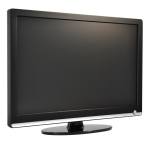 - Display: TV, VGA and HDMI output synchronously supported. - Operation interface: Similar WINDOWS operating style, powerful right button menu function of mouse. Easy to use. - Network: Powerful net service supported (DHCP / PPPOE / FTP / DNS / DDNS / NTP / UPNP / EMAIL / IP authority / IP search / alarm center, etc. ), complete enclosure (WEB / CMS / SDK) to easily achieve interconnection. - Browsers: Multi-browser (IE, Chrome, Firefox, Safari). - Remote access: Self enclosed with DNS function (ARSP), one-key to enable remote control, and DNS of 3322 / dyndns / oray / myq-see, etc. supported. - Device port: 1 SATA port, 1HDD of 2T, 2 USB2.0 port supported for operation of mouse control, back up, burning and upgrade. - Differentiation: change boot screen freely, more than 20 different languages, more than 10 kinds of GUI interface, ten kinds of remote controller, and dozens of front panel board for selection supported to make different products. - Others: Completed protective circuit, unique treble watchdog function. It makes device never crash; special black-box technology to monitor the device process. 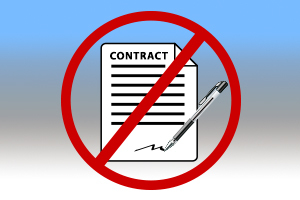 It greatly reduces the maintenance cost. - 20 different languages (English, Finnish, French, German, Greek, Italian, Japanese, Polish, Portuguese, Russian, Spanish, Thai, S-Chinese, T-Chinese and Turkish, Vietnamese, Ukrainian, Romanian, Brazilian, Korean). Hard drive and remote control not included. Dome camera with 3.6mm board lens and a viewing angle of 95Â° which has a 65ft range of infrared night vision, and a 24 pcs LEDs 5mm each. 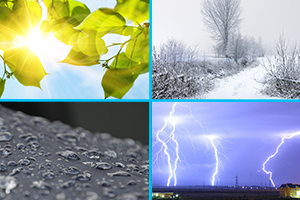 Top of the line equipment regarding sensor and driver technology. This equipment is designed for indoors usage and can be easily installed anywhere going unnoticed thanks to its size. 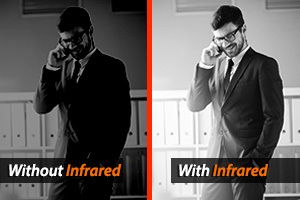 Due to its slightly tilted crystal, the IR is not reflected on the surface. For best results, regarding image quality, use our servers and video recorders (DVR, NVR, HVR). See this camera online through any of our recording systems. IR Waterproof high resolution Bullet camera with a 1/3" HDIS color CMOS Sensor and 900TVL of resolution which has a 3.6mm lens, a 92Â° viewing angle, a 65ft range of infrared night vision, and 24pcs 5mm LEDs each. Available in gray. Latest technology of sensor and driver adopted. This equipment designed for outdoors can be easily installed anywhere. 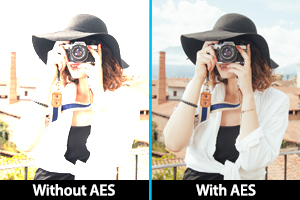 Resolution, sensitivity and wide opening angle are perfect for monitoring stores, offices, shops, warehouses and anywhere with little or no lighting. Using servers and digital video recorders for good results in image quality is recommended. You can see this camera online through any of our recording systems. - 1 Digital Video Recorder (LS-SEDVR6308EA). 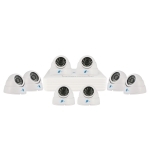 - 4 Dome cameras (LS-TC4052CB06). - 4 Bullet cameras (LS-TC3066CB06). - 8 Video Cable and DC Cable 65ft each. - 1 4-Way power cable spliter. - 1 5-Way power cable spliter. 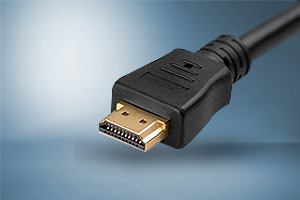 - 1 Cable BNC (F) to RCA (M), 5ft. This feature works with the motion detection capability of the DVR or alarm contacts attached to a door or window. 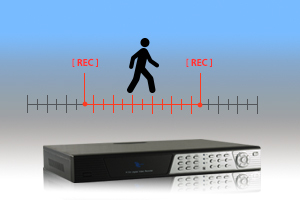 When an incident is detected, the DVR records a pre-set amount of time before and after the event to the hard drive. 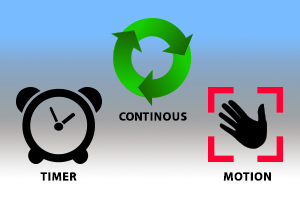 This enables you to see what happened before and after motion was detected and view additional information about the circumstances leading up to and after it. 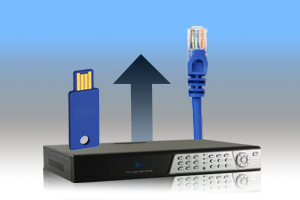 DVR settings adjustment such as remote firmware upgrade, email notification, recording resolution, and motion recording. All DVR settings in the Display, Record, Device, Storage, System, Security Network and Upgrade screens are accessible remotely, for easy adjustment of related DVR functions. The recorder allows still images and recorded video to be offloaded via one or more of these options for quick and easy backup of your critical video evidence: DVD, USB drive or network. 8 Channel DVR, H264/G711A, VGA/BNC/HDMI output, D1/CF Resolution.